All activities and events scheduled for this evening, January 29 will be cancelled due to the dangerous drop in temperature. 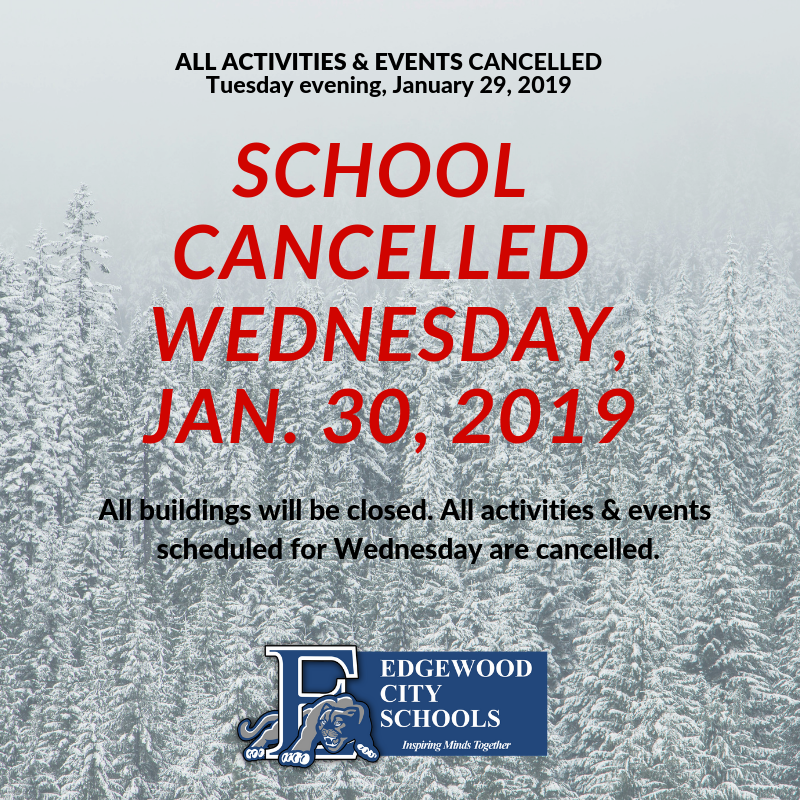 In addition, SCHOOL HAS BEEN CANCELLED for WEDNESDAY, JANUARY 30 due to the expected dangerous wind chills. All buildings will be closed on Wednesday and all athletic events and other activities have been cancelled. 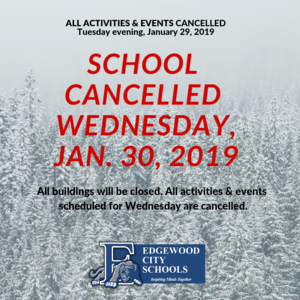 We will continue to monitor the weather closely and, if further delays or cancellations are necessary for Thursday, we will make that decision on Wednesday. Stay safe and warm Cougars!